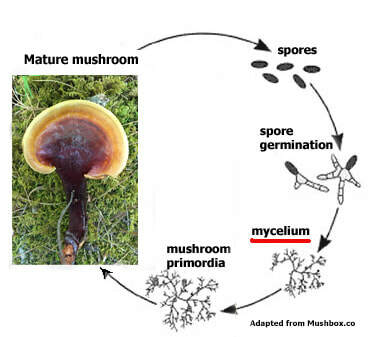 Mycelium is the network of rootlike filaments of most fungi that grow and fuse together. It is the food-gathering part of a fungus which lives, most commonly, beneath the surface of the ground, appearing as a frost-like web growing into a dense mesh for sprouting mushrooms (Johnson 2016). ​For more about mycelium and opportunities for artists click on the brochure file below.